TigerText integrates with Startel’s cloud contact center software; Answering service providers save time and money, while their customers see jump in staff communication and efficiency. SANTA MONICA, CA (November 20, 2013) – TigerText, the leader in secure, real-time messaging for the enterprise, today announced integration with Startel, a leading provider of unified business communications for contact centers. TigerText is now integrated in Startel’s cloud contact center software, which is accessible via the web and available on any device. The integration, which enables Startel’s answering service customers to securely text message colleagues and clients from within the Startel interface, is helping answering service providers increase staff efficiency and preventing their clients from unwanted fee hikes. With the rise of texting in the workplace and recent HIPAA Omnibus Rule changes which affect how answering services forwarded patient concerns to on-call physicians, Startel incorporated TigerText’s secure messaging capabilities in its software to provide their answering service clients as well as those companies’ own clients with a secure and HIPAA compliant communication channel. Customers can easily access the messaging service from within Startel’s cloud-based contact center, and immediately begin securely texting. Customers like Cosmopolitan Medical Communications (CMC), a leading answering service provider, are already using the integrated solution and seeing positive results. Specializing in reliable messaging and medical paging services for patients and physicians, CMC realized it needed to change its routine operating procedures as it could no longer utilize standard text messaging to relay patient calls to physicians. 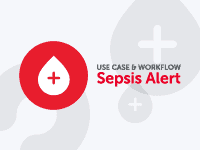 The company needed a secure messaging solution that embraced its clients’ preferred method of communication – texting – yet complied with HIPAA regulations. CMC began using TigerText as it not only had the robust features and functionality it desired – full compliance, easy to use, message accountability – but more importantly, because it was easily accessible from their Startel answering service software. 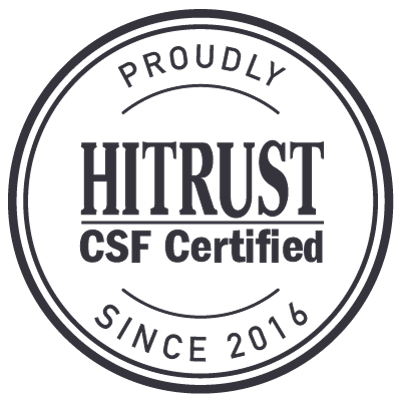 Enhanced Security and HIPAA Compliance – The integration allows CMC to use texting to quickly send clients patient information while also keeping all message content secure and encrypted so that they and their clients remain HIPAA compliant. Improved Productivity – Staff members are able to communicate with clients via secure text without having to leave their current software interface, helping increase staff efficiency. Saving Time and Money – By having one integrated messaging solution, clients can avoid fee increases of 10% – 30% on their bills as there is less live operator time needed to service the account. Instead of making a manual phone call to a provider, CMC can simply send a secure text message. “By partnering with TigerText, we are furthering our commitment to our clients to provide them with reliable, easy and robust technology. It’s a win-win as our clients now have the best answering service software and the leading secure messaging solution all in one product.” Bill Lane, CEO of Startel. 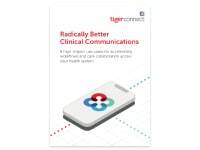 To read the full case study on how Cosmopolitan Medical Communications has saved time and money and increased customer satisfaction using TigerText, please visit: http://tiger.tt/17JgHl5. 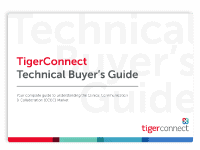 For more information on how leading answering service vendors like Startel are integrating with TigerConnect, please visit: http://developer.tigertext.com. Startel is a leading provider of unified communications, business process automation, and performance management solutions and services. Since its founding in 1980, Startel has established a loyal customer base from a variety of industries including contact centers, education, government, healthcare, insurance, telephone answering services and utilities. Startel leverages its unique solutions and industry knowledge and experience to empower organizations to improve agent productivity, reduce operating costs and increase revenues. For more information, visit http://www.startel.com.